Working with you, Health and Safety Essentials can assist you to improve safety in your workplace. 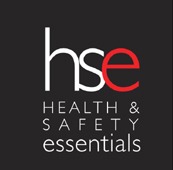 Specialising in the effective management of chemicals for both large and small businesses, HSE can provide essential support and advice for your organisation. Scheduled consultancy services – Contract HSE to provide a series of scheduled consultancy services. For example, a once-a-month training course; 6-monthly audits; one-day-a-week on-site to provide consultancy, mentoring and advice. Monthly contract – Contract HSE for a set number of hours per month, and HSE will assist you with whatever needs to be done. Guidance on an appropriate time per month can be provided following initial discussions. Become a regular client – Contact HSE whenever you need assistance. Over time, HSE will get to know your business and your needs and be able to provide you with efficient service and practical solutions. Contact HSE today and discuss your needs. Together, we’ll find a solution that’s right for you.